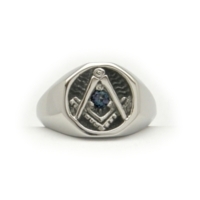 Our Classic Signet ring, designed in the style of an "iconic" Masonic ring, with a original shape and design, creating a sculpted Octagonal form that frames the crest of the Square and Compass. 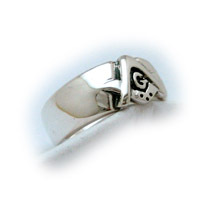 The ring in the photo is Sterling Silver with a Goshenite. 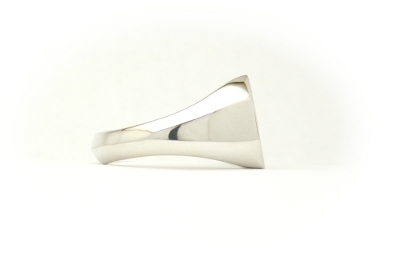 This ring has been created to address the need for a solid, classy straightforward ring that will stand out as a quality piece of jewelry. 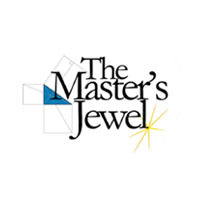 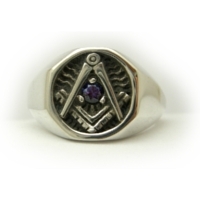 The gemstone on this ring is larger than our usual size, at 3.75-4mm, and only genuine stones are used, or the hand carved centerpiece of your choice, such as The All Seeing Eye or the "G". 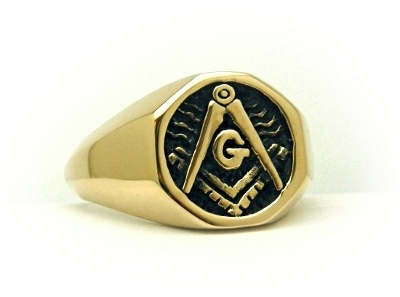 The ring is quite heavy in general, about the same size as our Mortality Ring. 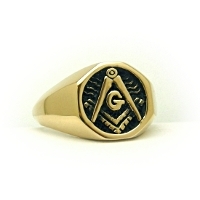 The crest is 5/8" (16mm) wide and tall, while the bottom of the shank has been styled heavily at 1/8" (3mm) thick and 3/16" (5mm) wide. 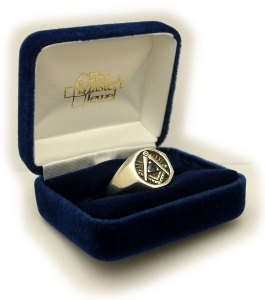 This ring includes our genuine velvet gift box and printed materials and is made to order.